After living in the Millers Point area for more than 50 years, Myra Demetriou is moving out of the Sirius building in February. 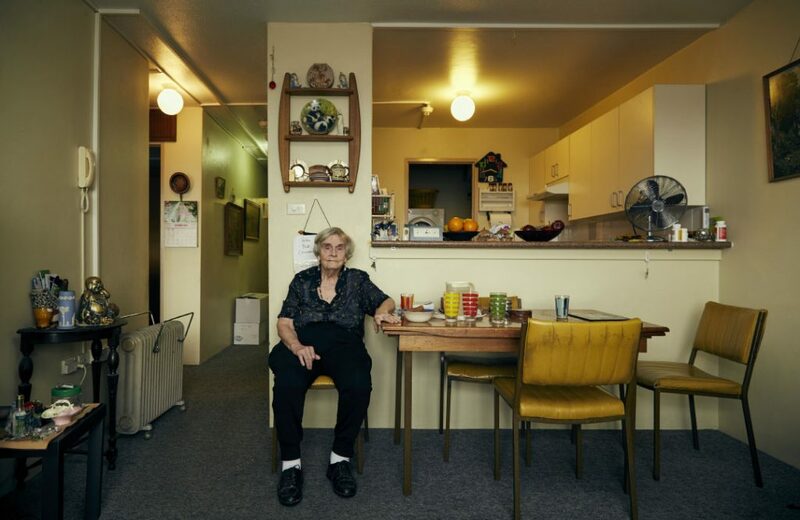 Myra has invited more than 1,500 people into her apartment to see inside Sirius, the wonderful views, her famous SOS sign, and meet the woman who, at 90 and legally blind, the government is evicting. Myra has been an integral part of Save Our Sirius – the face of our campaign and a reminder of the way the government treats their aged population. 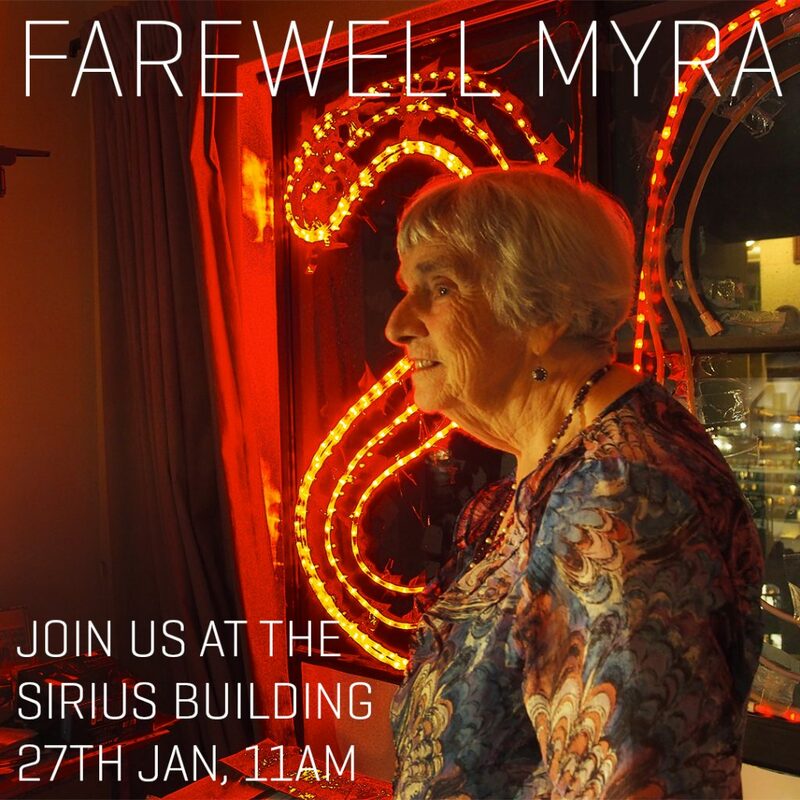 Join us at Sirius on Saturday 27th Jan at 11am to give Myra the farewell she deserves, and show the government that our campaign will continue. If we succeed, Myra might be able to return to her home and community. This entry was posted in news and tagged affordable, demetriou, heritage, housing, myra, our, save, sirius, social. Bookmark the permalink. I live in New Zealand so can’t make it to Myra’s farewell but my very best wishes to you Myra. You fought a long hard battle to stay in your apartment which was very admirable and courageous. I was sad and disappointed to see Sirius is now for sale. I was in Sydney late November and bought the Sirius book and did another visit to the Sirius complex finding fencing around the building and security guards sitting inside the main entrance. I have been to see the building about 3 times in the past and find this building full of intrigue and mystery and love walking around the outside thinking of the people who lived here and the stories this building could tell. Planning to be back in Sydney for the Harbour bridge running race in September so will hopefully see Sirius again then and hoping that it is not pulled down by the new owners.